Apple’s editors have cherry-picked the Piloteer game as its new Free App of the Week on the App Store, meaning you can now download this $1.99 title at no charge until next Thursday. Created by Fixpoint Productions and released on the App Store in June of 2015, Piloteer has an average rating of four stars based on more than 155 reviews. In this physics-based game, a renowned inventor is determined to overcome the stigma associated with flying a jetpack and convince the world that jetpacks should be revered by all. It sounds easier said than done, however. 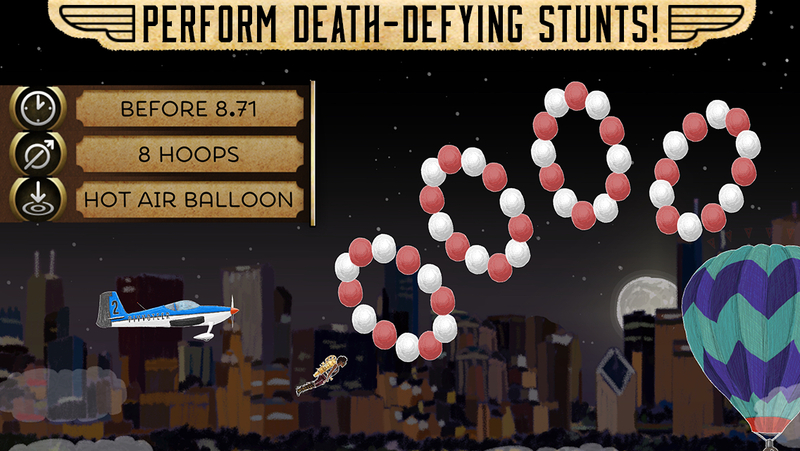 Snap on a jetpack and soar—right until you lose control and come crashing down to earth. 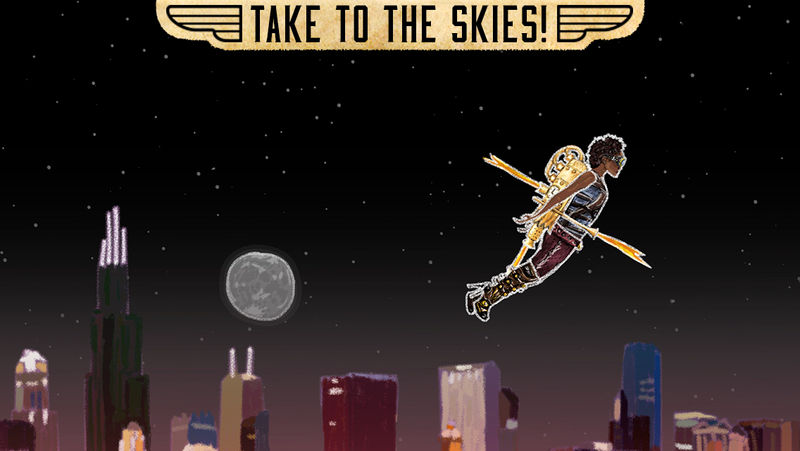 In Piloteer, learning to fly isn’t just hard, it’s nearly impossible. But it’s so obsessively fun, we can’t stop tackling new goals like launching through hoops or landing on a hot-dog stand. Nailing each stunt feels immensely rewarding, and we never get tired of watching the crazy rag doll physics every time your character somersaults to the ground. 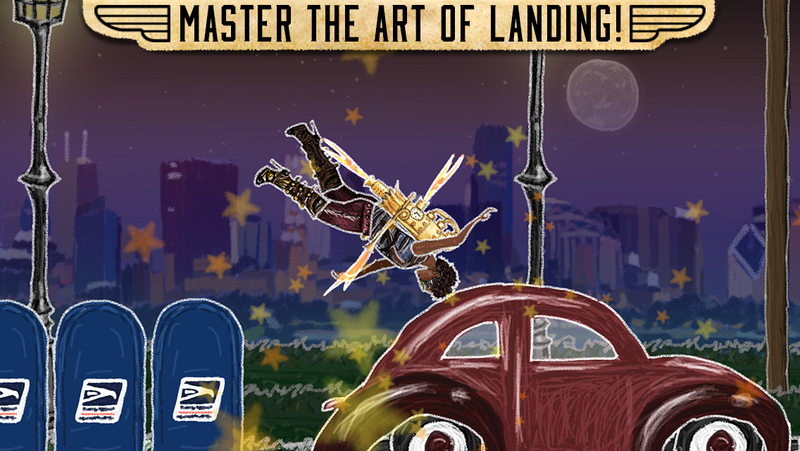 Don’t let the game’s simple controls (tap left/right to fire left/right thrusters) fool you, staying steady in the air and flying confidently is indeed challenging, but that’s why the missions in Piloteer are seemingly simple: land on an object, keep yourself up in the air for x seconds, perform a backflip and so forth. Ridiculous failure is an essential part of Piloteer so don’t that put you off because this game is loads of fun. The physics-based engine really does a good job of making the surrounding world feel dynamic, unpredictable and alive. There are sixty different missions and three diverse environments to fly around in, with Career and Free Fly modes, GameCenter achievements and more. This whimsical game should be on the Home screen of every iPhone owner so you’re wholeheartedly recommended to grab Piloteer now until the price goes back up to $1.99. This game is totally free of ads and In-App Purchases. 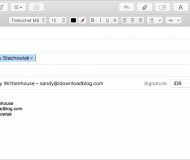 Piloteer requires an iPhone, iPod touch or iPad with iOS 6.0 or later. Grab Piloteer for free in the App Store, until next Thursday.